D-2816, Yellow Color, Shimmery Finish Paper, Odd Shape Cards. 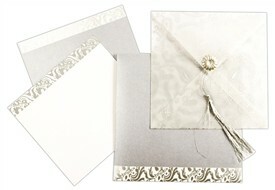 Designs speaks of itself! 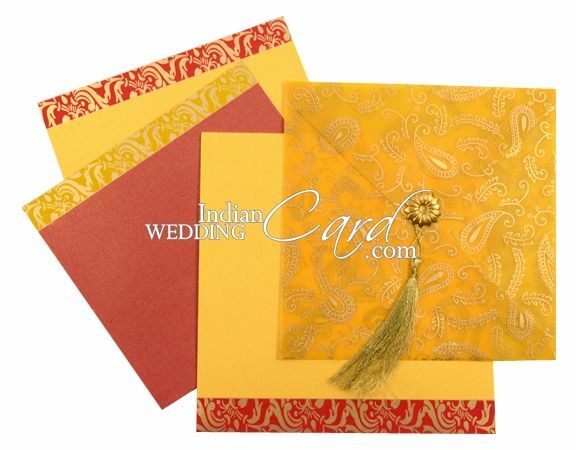 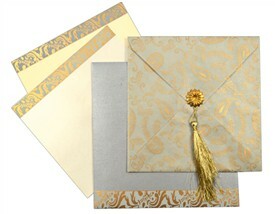 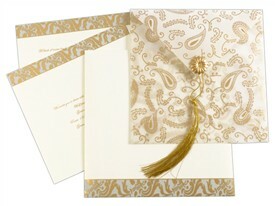 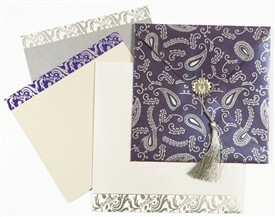 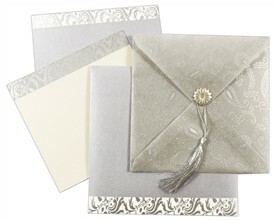 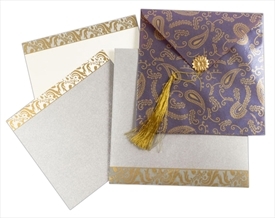 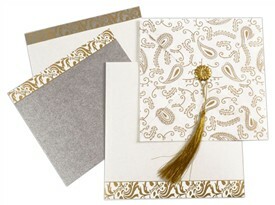 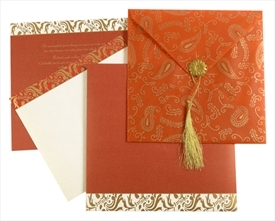 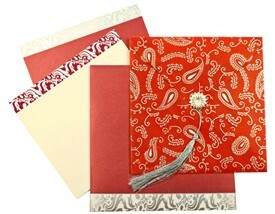 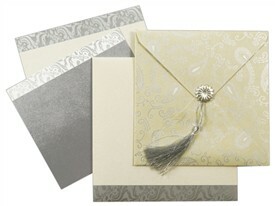 The card is handkerchief pattern folding card holding 2 inserts with a nice golden tassel tied with a carved metal piece gives a finishing touch. 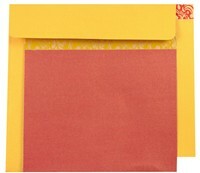 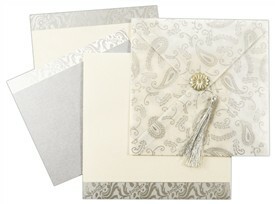 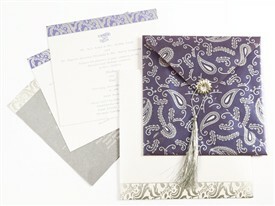 The inserts and envelope has matching border designs. 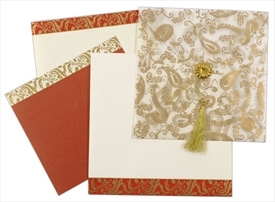 Silk Screen Printing in Color matching to card or Gold.